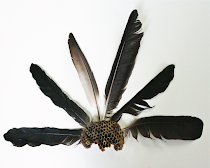 The Plumed Nest: Sewing & Crafting Tips: Because I learned the hard way. Sewing & Crafting Tips: Because I learned the hard way. I believe crafting should be as enjoyable as possible. As a young girl/woman I crafted for entertainment, because I wanted to make something I couldn't otherwise have afforded and as a way to express myself. I still craft for the same reasons to day. When you craft remember to allow yourself to enjoy it; if you're not enjoying just put it down and come back to it later, or find more resolve by regaining your inspiration by looking at books, blogs or just envisioning the end product. Sometimes I just think of the way I want to be feeling about crafting and it works. 1. First and foremost any tutorial is a guide. You are in control of the craft and it's okay to color outside the lines, expand the lines, or pull them in to your comfort level. What works for one person does not always work for another. 2. Scissors! Snip Snip...A good pair of scissors is a must have! Actually I have a few pair of dedicated scissors. I have my Fabric Scissors which are never used on ANYTHING else but fabric. And no one in my house is allowed to even look at them. Buying a pair of quality, really quality, scissors is an absolute necessity in my book. 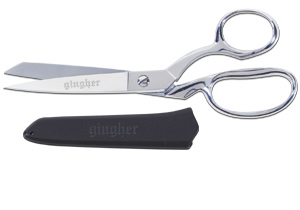 The initial cost can be around $35+, but you save so much money, because when you spend that much for a pair of scissors I guarantee you will not use them for anything else and you will not need to replace them. they will also cut like magic! Embroidery scissors for cutting threads, small pieces of felt or other details. Utility/Paper scissors for cutting paper, velcro, or anything that doesn't qualify as fabric. These are my favorite Embroidery scissors, however, (I also have a gingher pair). I paid about 4 dollars for these and I panic when I can't find them. 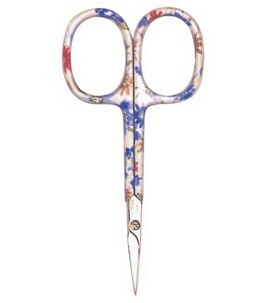 They are such great scissors! More doesn't always mean better! 3. 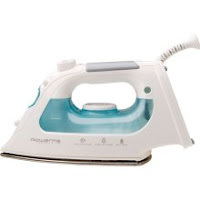 Iron: So, truth be told I had this old iron that I had been using for years. I hated ironing my fabric because it took forever, so I rarely did, which made the whole process of sewing a lot more precocious and frustrating and time consuming. Finally, I broke down and bought a Rowenta. Wow! It really does make a difference. Using a good iron is something I don't think I had ever experienced. Ironing shouldn't take longer than sewing it! An ironing board, even if it's a very small one is pretty good to have on hand too. But a towel and table will work as well. 4. 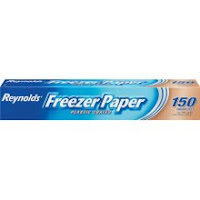 Ruler: These come in handy all the time. I like the 2x18. 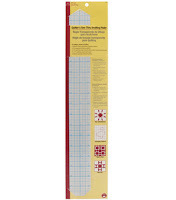 It's perfect for sewing and other crafting projects. This one is see through and even has holes which will help you make perfect circles. Oh and it's one of the least expensive, between 3-6 bucks! The companion to the ruler is a fabric marker of some sort, I prefer the chalk. 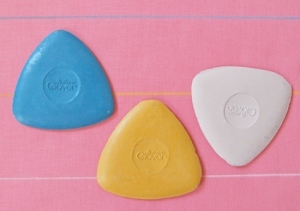 AKA "tailors chalk." You can just lick your finger and rub it off if you make a mistake in marking, and I like that. 7. Straight Pins for keeping your fabric in place. Glass head pins are best because they won't melt if you go over them with your iron. I never leave my pins in when I am sewing. It's just not a good idea. A pin cushion is actually important too! 8. 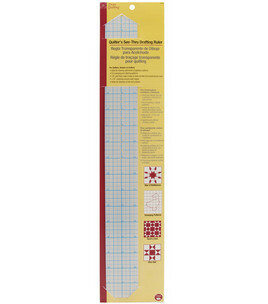 Fusible web and applique sheets. This is basically like double-sided tape for fabric. Buying off the bolt is much less expensive than buying it in individual packages and it still comes with instructions.﻿ Needs iron. 9. Wash your fabric BEFORE sewing with it. I know it's a pain, but it's so important. The only exception is if you are never going to wash your item, then don't bother. And, yes, ironing your fabric before use is a good idea too, but I wouldn't say you always have to. 10. Use a polyester blend thread. ﻿Unless your project specifically calls for cotton, or other thread. Cotton threads can shrink with washing and pucker fabric. 11. Peruse crafting books and craft blogs: even if you don't do the projects, they are great for inspiration! 12. Document your crafts: if you are making up a project on the fly, like I do most of the time, and it turns out great, it's so nice to have written down or taken photos of the process so you can do it again later, or pass it along to a friend or blog site. Eventually you might have enough material to start your own blog! 13. Wool Felt: This is great stuff to have on hand. It is so, so user friendly. And it also can add a fun, modern element and texture to so many projects. Of course wool felt can be a vast source of project material in itself. P.S. DO NOT iron synthetic felt! It melts onto your iron. yuck. You can iron wool felt however. 16. Do-dads: Embroidery thread, buttons, sequins, a few bottles of acrylic paint/a few brushes and other "fun" items. Just because. And these items are really inexpensive, of course it adds up, but it's nice to spend a few dollars to get your inventory started. 17. Take care of your sewing machine. One thing that is a must-do, again, is to make sure all your pins are out before you sew. Make sure you are using the right needle for your fabric, the right bobbin holder for you machine, the right settings and foot for your fabric. Oh, all these things do make a difference and can turn a fruitful sewing session into one of a combination of irritation and frustration, broken needles, wads of tangled threads and so on. I do love to avoid these situations as much as possible. 18: Practice stitches: while I am a fervent advocate for just winging it and letting your inner crafter emerge in the process, but, well, sewing is different. There is a learning curve involved. I always, test my stitches on a scrap of the fabric I will be using to make sure my settings are right, which says a lot, because I love to cut corners. And if you are really new to sewing, practice all the different stiches and different seams, it's actually kind of fun to do. 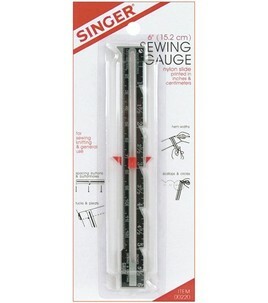 It will make sewing easier and afford you the "instinct" you can go-to later. It's the courting period between you and your machines long life together. The same is true with embroidery stitches. Really setting down to practice a stitch before you try to use it on a project will save you the hassle of having to rip out mistakes later. I do a lot of sewing and embroidery and I still, everytime, do a little practice round, then I know I am going into my project with confidence. It doesn't mean I don't end up with some ripping out of threads and do-overs, because I do, but it certainly lessens the amount of times I do this. 19: Antique Store/Malls and Thirt Shops: These are great places to get some of your extra items. Like buttons, threads, wool sweaters (for fabric use, but follow the felting process before using) and fabrics which can be spendy at stores, can be purchased for pennies, and there's just something about the retro and vintage items that can invite a nostalgic vigor to a crafting project. Not to mention, the positive benefits of up-cycling and re-purposing has on our environment. So, here is a beginning/beginners list of tips and my favorite items to have on hand. I find most of these items are frequently used in craft projects, so it's great to have a little inventory. I try to buy my sewing items at local stores because I find the prices are comparable and, well, the fabrics are amazingly higher quality - so I want them to stay in business. But all of these items can be found at the big chain stores or online too. Lastly, I recommend these items on my own accord, I have not gotten any monetary gains, promises or prizes for my suggestions. I just really like them and I do believe having the right tools in your tool box makes a very big difference between.